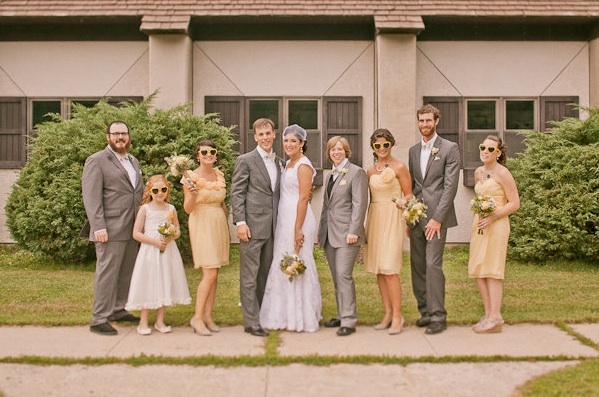 It's always a fun surprise to discover how each of the weddings we work with end up having such distinct styles. 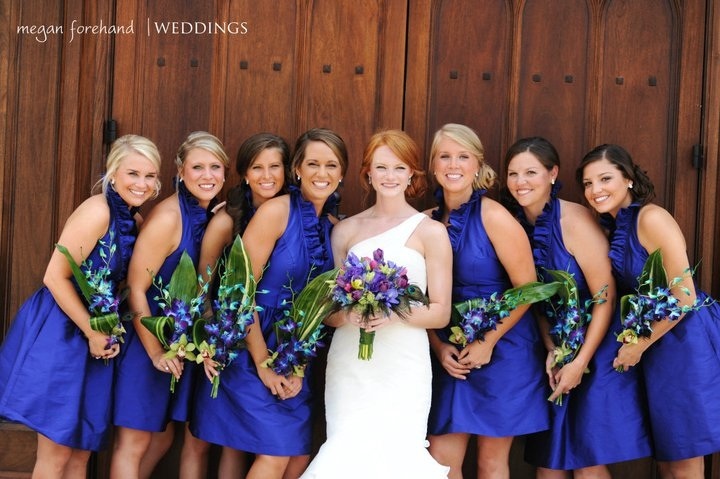 Our customers continue to send us amazing pictures and we can barely keep up on our blog! 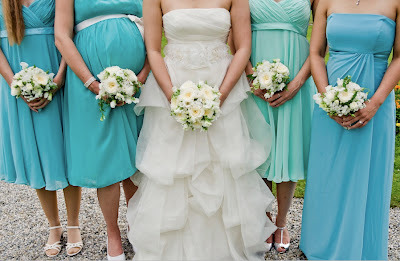 All the way from Munich, Germany, bridesmaid Stephanie sent us photos the bridal party took at Nymphenburg Palace. The girls wore mixed Landa Designs styles in shades of blue and turquoise. 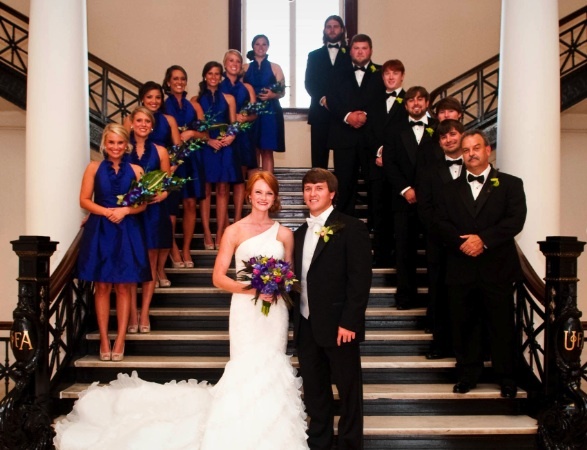 Newlyweds Kayla and Patrick shared photos from their wedding in Tuscaloosa, Alabama. The ceremony took place at Holy Spirit Catholic Church followed by a reception at the Alabama Museum of Natural History in Smith Hall, University of Alabama. 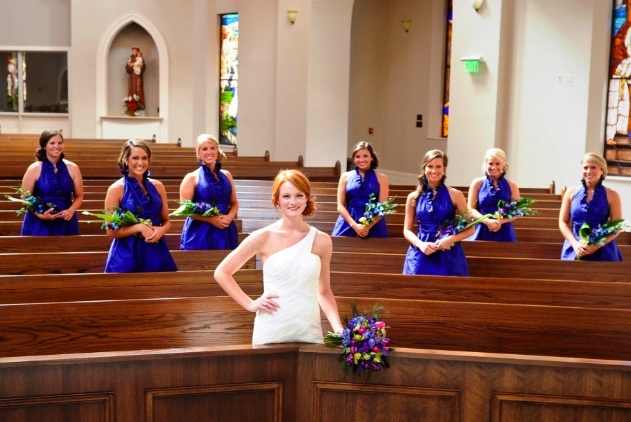 The bridesmaids wore Alfred Sung's Ruffle Halter Dress, Style D470, in Electric Blue, which is quickly becoming one of our most popular styles. We love that Kayla went with more unconventional orchid bouquets, which complement this style for a unique and fresh look. 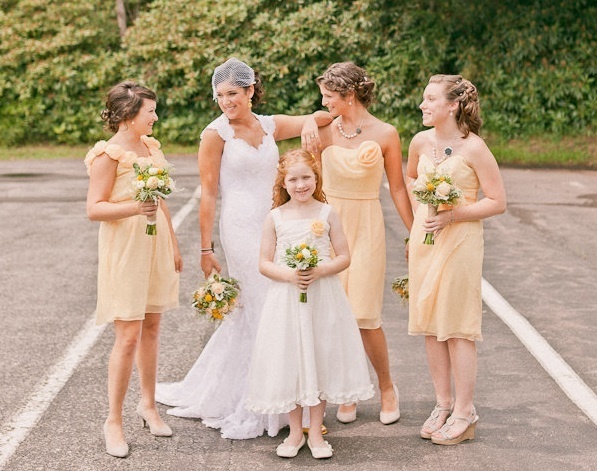 Finally, some highlights of yesterday's Style Me Pretty post featuring one of our bridal parties wearing Lela Rose dresses in Buttercup. 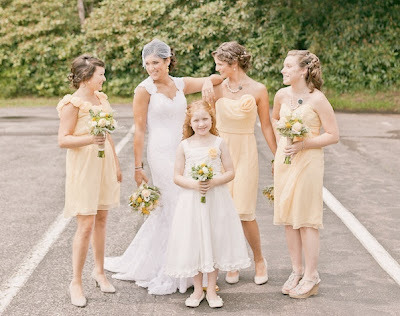 The serene, vintage glow makes me miss summertime already. 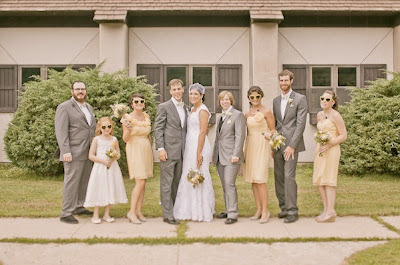 Best wishes to all of these happy couples!